Andrew has lived and worked in New York City since 1996, calling Brooklyn home since 1999. His work spans a wide spectrum of mediums from illustrations and paintings to toy design and sculptures. Much of his work is united by a sense of humor that often belies a more serious and sombre message… although some of it is just plain silly. His work has been featured in solo and group gallery shows and exhibitions from LA to Paris, and has been featured in publications including as The New York Times, Newsweek and Wired. 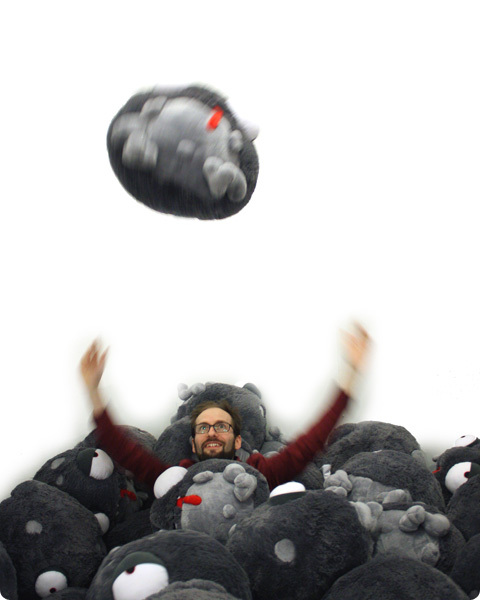 Under the banner of Dead Zebra, Inc, Andrew has produced projects in association with companies such as Kidrobot, Google and Squishable. Before focusing exclusively on his own work, Andrew spent several years freelancing for Marvel Comics and served as a senior designer in Nickelodeon’s New York office for five years.